You were pregnant. Determined. Prepared. You’ve read every article about nursing and went to a breastfeeding workshop at the hospital where you were delivering your baby. You know in your head and heart that it’s the only thing you want to feed your baby since it’s a most natural act that women have been performing for thousands of years. The baby arrives and reality hits. Who knew breastfeeding is this hard? A lot of first-time moms struggle with milk supply. We obsess, cry and cheer over every drop of milk and measure what our babies are consuming down to the ml. I remember pumping after every feed in an attempt to bump up my milk supply but missing the point that a big part of producing enough milk is getting enough rest and eating well. 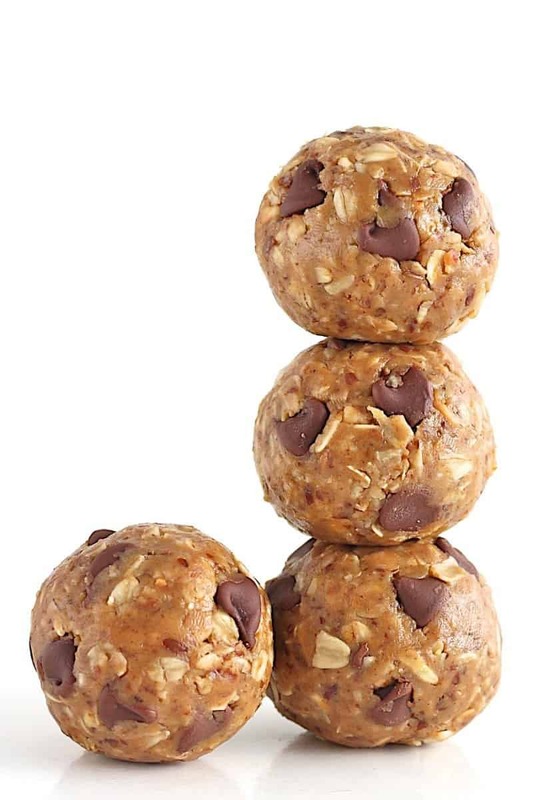 These yummy no-bake lactation bites are perfect for a nursing mom or anyone who needs a healthy, hearty, handy boost of energy! Almonds encourages milk production in nursing mothers! All the same flavors of a blueberry muffin but 100% better for you! Make these Blueberry Muffin overnight oats tomorrow morning for a healthy breakfast! First, mash 1/2 cup blueberries in a large bowl. Then add the rest of the wet ingredients and mix until smooth. Place in the refrigerator, cover for at least 2 hours or overnight. Serve cold. It should stay good refrigerated for up to 3-4 days. Depending on how thick you like your overnight oats, you may add a splash of almond milk before serving.